The time has come to announce some very exciting news which I know you have all been eagerly awaiting. Back in the days when Moda de la Mode was just a blog, a platform for my random musings on the fashion industry, an idea popped into my head. Over the past year, this idea has grown and grown into something quite magical, manifesting itself into a 62 page magazine. 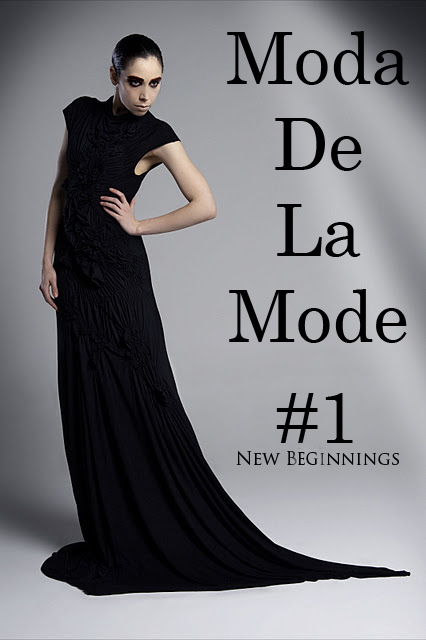 Moda de la Mode is no longer just a blog. It has broken through the glass screen of your computer/iPhone/iPad and has become a tangible object-something that you can hold in your hands and keep forever. Issue One of Moda de la Mode is now available to purchase in print providing you with exclusive content that hasn't been published anywhere else. Written by readers of Moda de la Mode, the magazine provides you with timeless editorials inspired by the fashion industry in fashion capitals across the world. 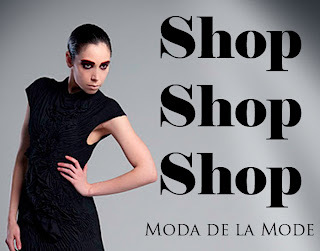 If you are interested in purchasing a copy of Moda de la Mode Magazine then visit our online shop here. To celebrate this momentous occasion, I have designed a very special present for those who have contributed to Moda de la Mode Magazine. 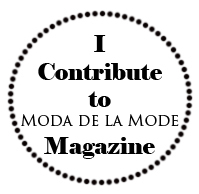 The Moda de la Mode contributors badge can be added to the sidebar of your blog or website by just copying and pasting the html code below.